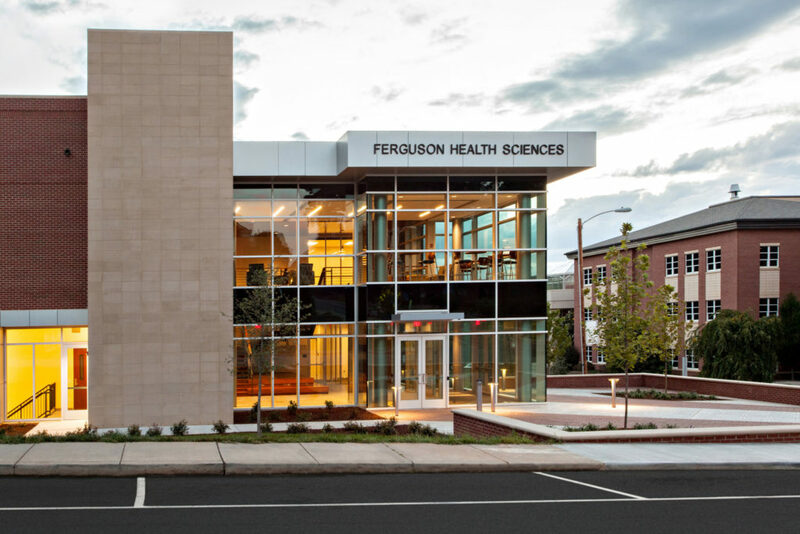 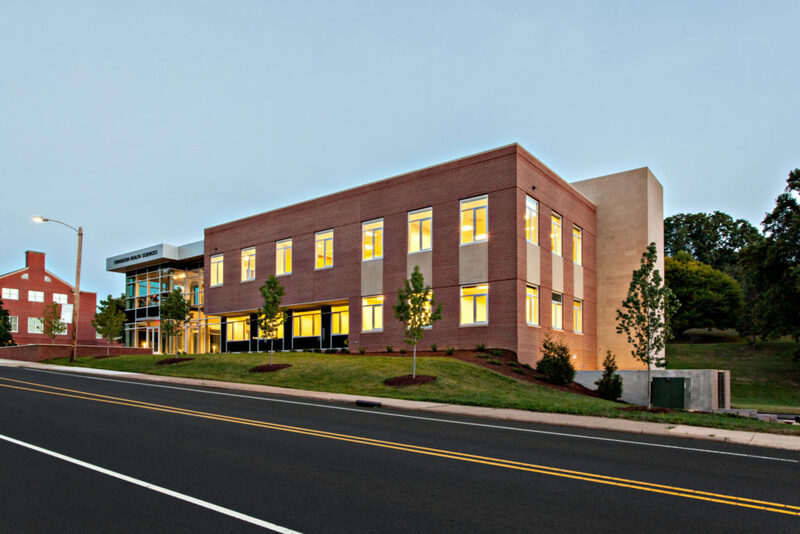 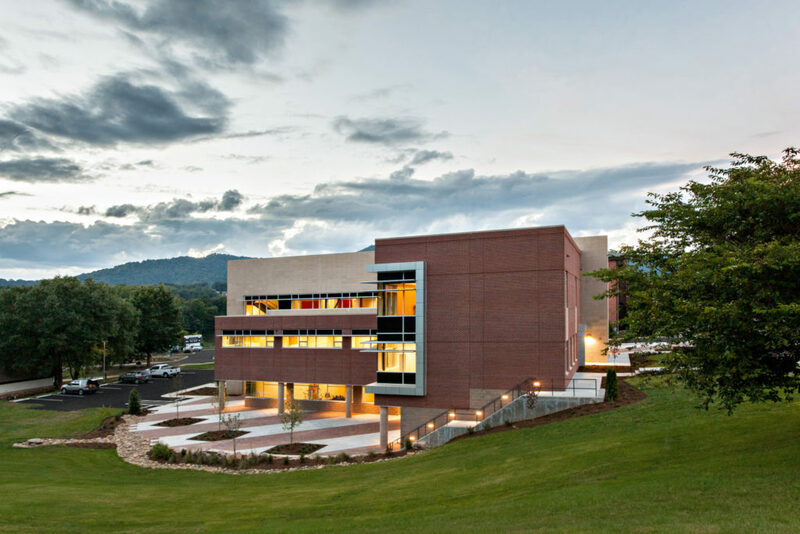 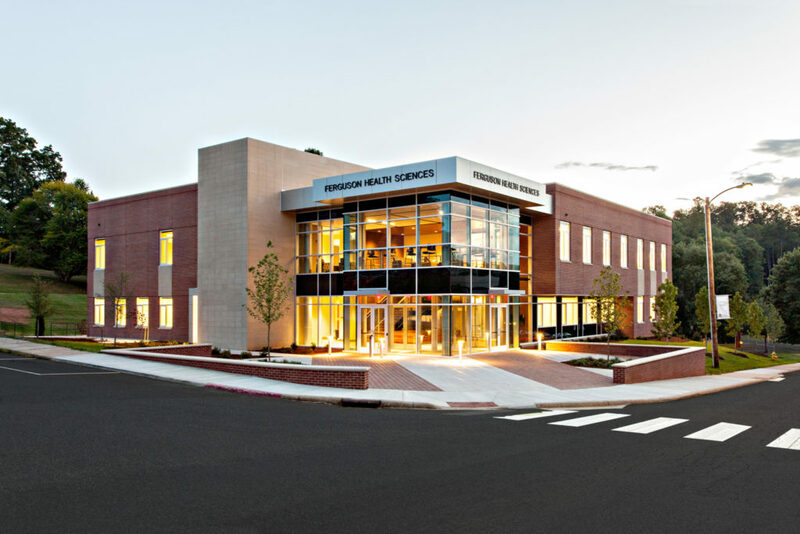 The Ferguson Health Sciences Center is a 30,742 SF state of the art educational building located on the campus of Mars Hill University in Mars Hill, NC. 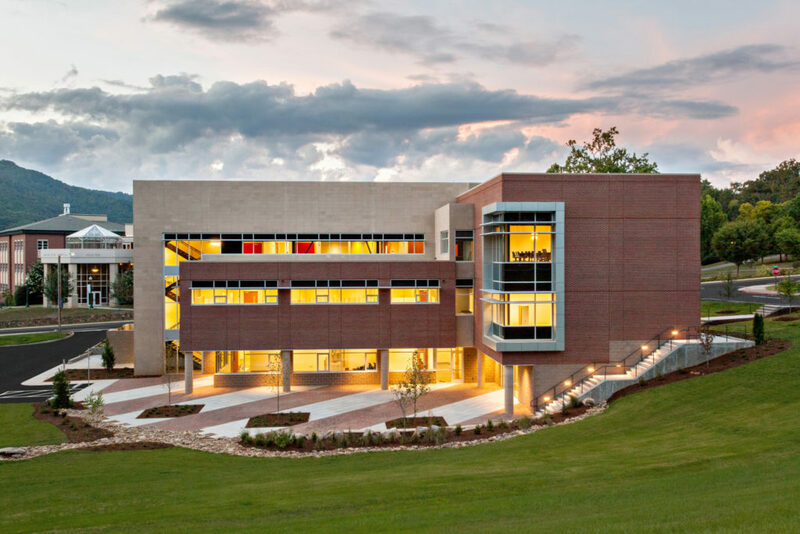 The 6.3M dollar project was built in the middle of an active University campus and completed by Cooper Construction prior to the 2016 school year. 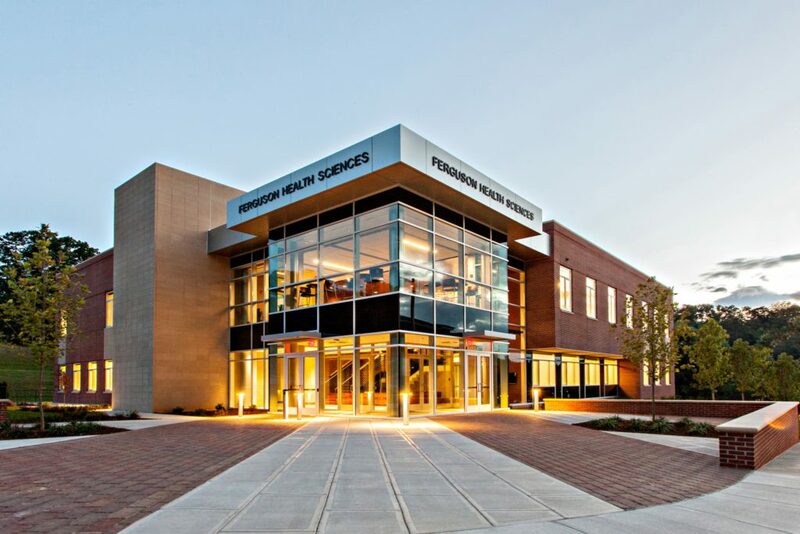 There are 61 rooms in the three-story structure including classrooms, offices and several specialty and mix-use rooms. 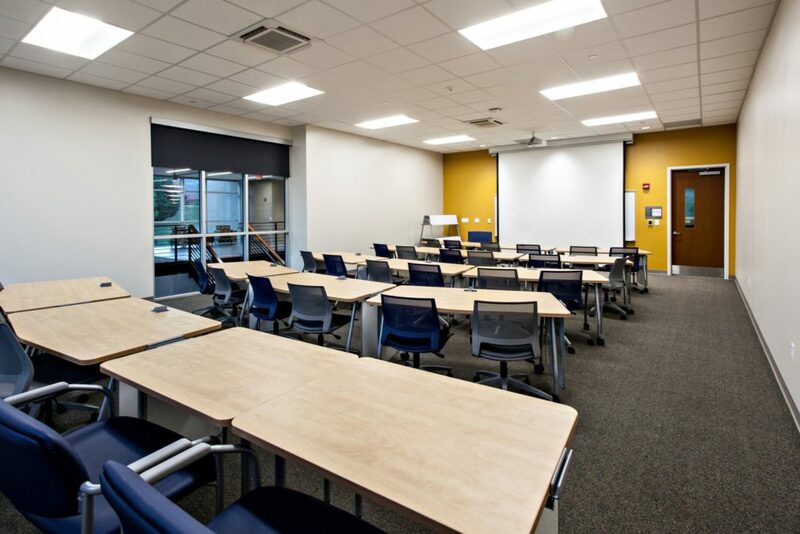 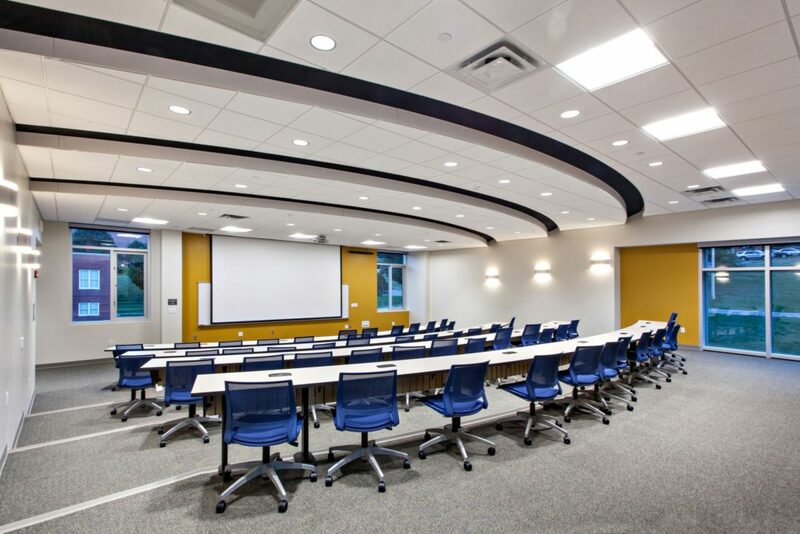 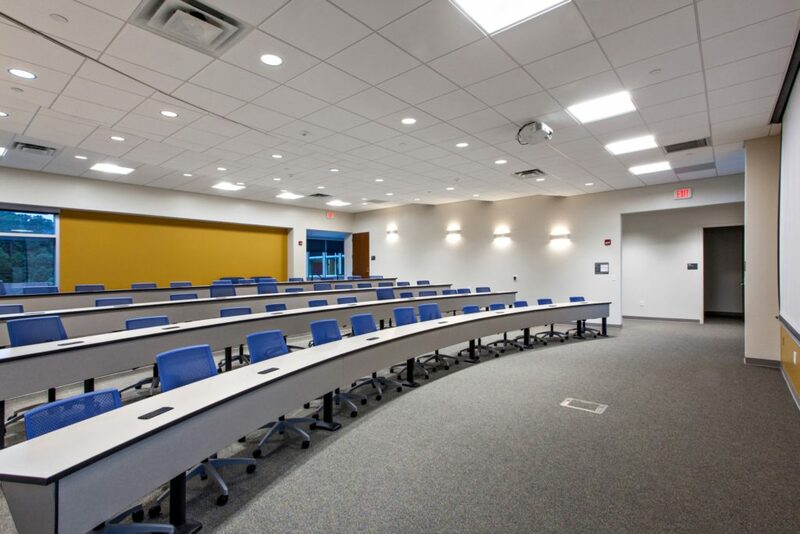 One of such specialty rooms is a Lecture Hall featuring tiered seating with space for 48 students. 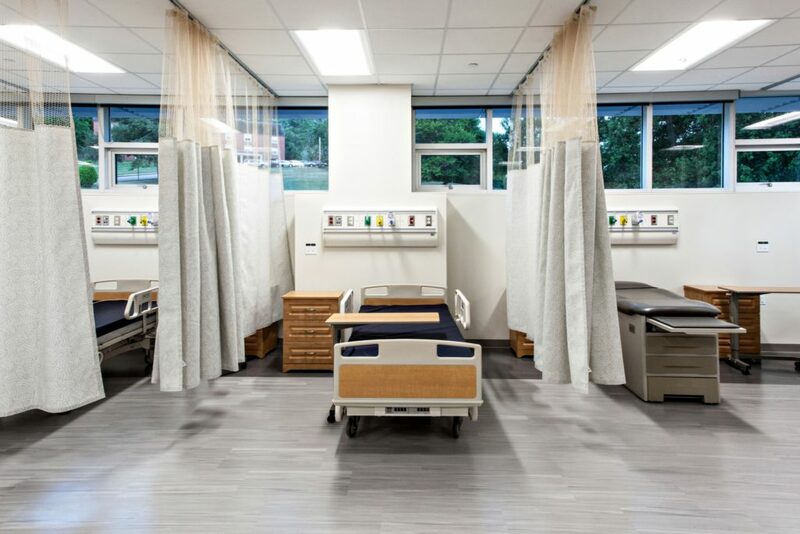 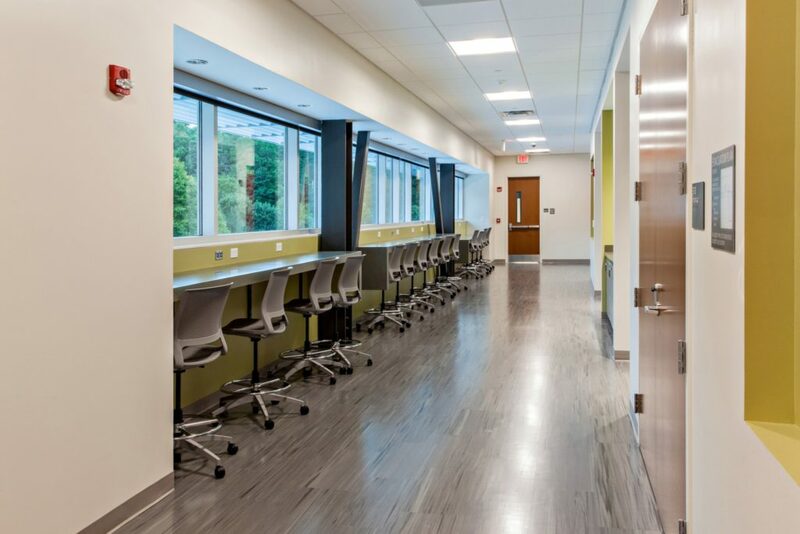 The building also houses simulation suites each consisting of 4 individual Simulation Rooms & an ICU / Infection Control Simulation Room with 2 Control Rooms observing lab exercises behind one-way glass. 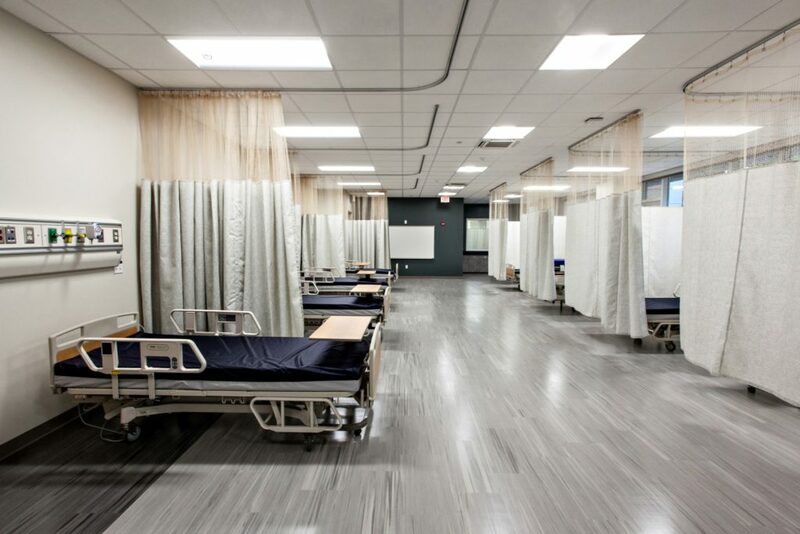 Additionally, there is a Clinical Skills Lab complete with 10 bays set up for simulations. 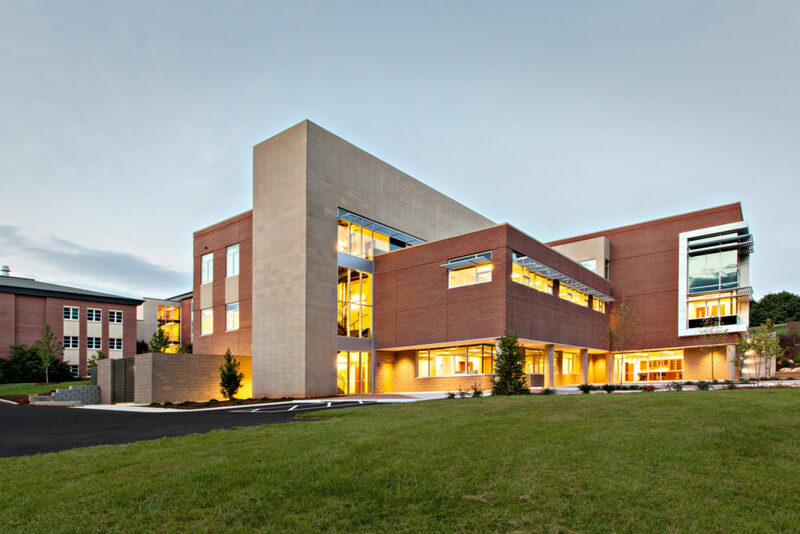 The exterior of the building utilizes brick and precast concrete so that the new construction blends with the existing buildings. 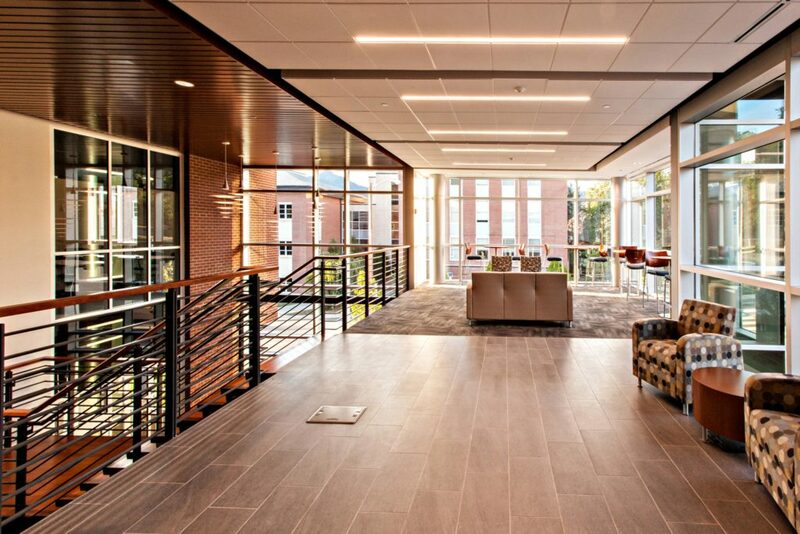 The glass facade helps to maximize natural light and a ground-floor plaza provides students and faculty a place to enjoy between classes. 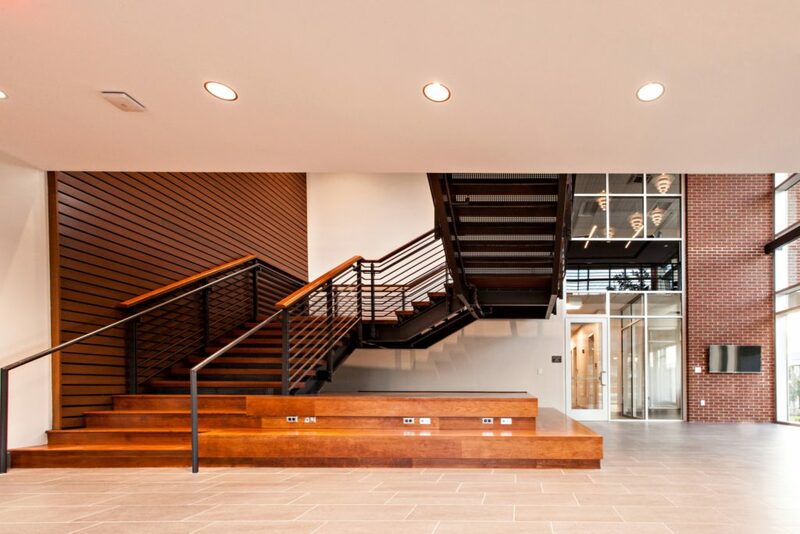 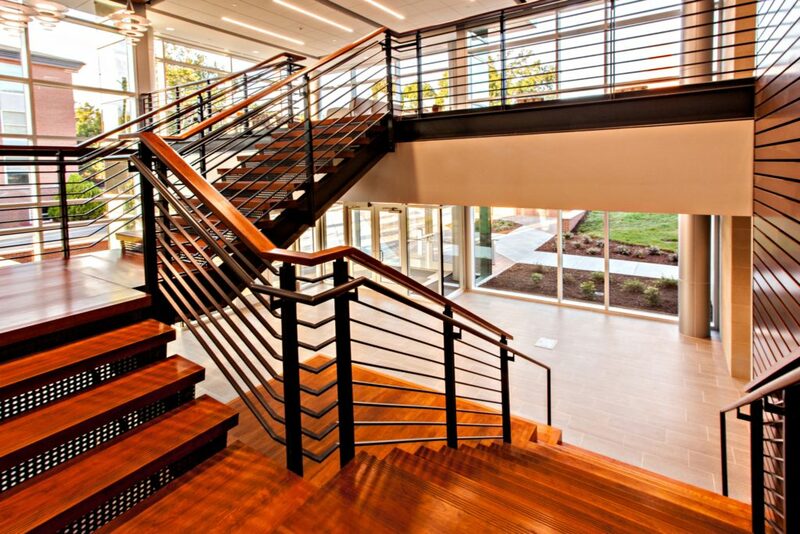 The corner entry feature serves as a prominent landmark on campus and just inside there is a main lobby monument staircase with 3” solid cherry treads and landings surrounded by a cherry wrapped two-tier platform.